Not every TIE is a single-seater fighter. The TIE basics allow for all sorts of alternate versions, including things up to shuttles in size. In this case, we have the TIE Reaper. Not as nimble or swift as its smaller cousins, it can still play quite a role in a fight, as we see in this preview for X-Wing from Fantasy Flight. In addition to adding a new starfighter to the Imperial ranks, the TIE Reaper Expansion Pack will help usher in X-Wing Second Edition by including components that are compatible with both the first and second editions. The beautifully painted TIE reaper miniature included in this expansion will be accompanied by second edition versions of all the ship cards and tokens you need to incorporate one of these terrifying ships into your Imperial squadrons, as well as its own complement of ten upgrade cards. 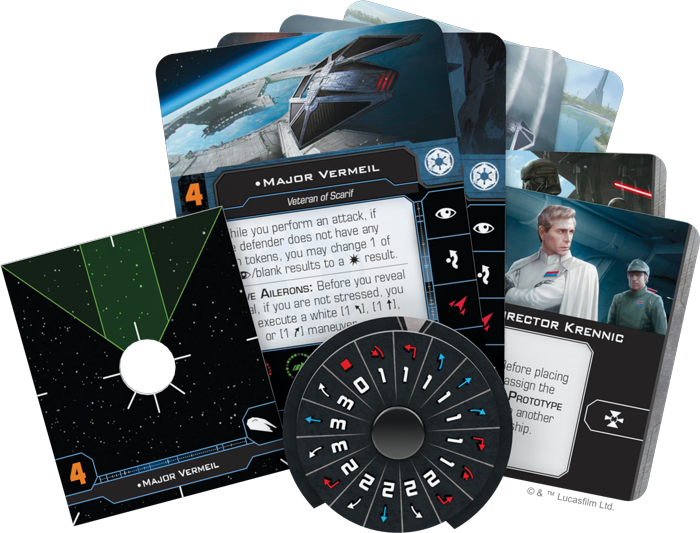 These cards will give you an early glimpse of the refinements made in the new edition and, when X-Wing Second Edition is released on September 13th, 2018, they will join the upgrades already found in X-Wing Second Edition to give you an array of options for building your first squadron. We’ve already taken a look at the first edition content you’ll find in this expansion. Join us today for a preview of the second edition content in the TIE Reaper Expansion Pack!